Barcelona is a Mediterranean jewel, an enthralling, unique city that beckons to be visited at least once in a lifetime. Avant garde, cosmopolitan, and vibrant, Barcelona virtually breathes art and creativity. Here you will find a rich artistic and cultural heritage alongside enticing beaches and all the comforts and services of a world class city. Don Quijote is one of the main partners of the Verbalists Language Network. The school is located at Carrer de Mallorca 27, in the heart of Barcelona’s vibrant and central L’Eixample district, which is home to Gaudi’s Sagrada Familia cathedral, a collection of notable modernist architectural gems including Gaudi’s Casa Batlló and La Pedrera, and much of Barcelona’s best boutique shopping. On foot, the school is 10 minutes from the Plaza de Espanya, 10 minutes from the Plaza de Catalunya and within walking distance of the city’s bustling Gran Via avenue. The Sants train station, Barcelona’s main railway terminal and a landmark building, is only 150 meters away. With direct connection from the school to 8 main public bus lines, and a metro station less than 5 minutes from our entrance, getting around Barcelona is as easy as walking out the front door! The school, housed in a modern and spacious building with 2600 square meters generously spread over the 3 lower floors, is one of the largest Spanish schools in Europe. The school offers more than 55 bright and airy classrooms with a total surface area of 2000 square meters. It also consists of 600 square meters of common areas, including a large interior patio, which looks out through a glass wall onto the school’s expansive private garden, complete with trees and terrace. The patio is a popular spot to relax between classes while enjoying a drink or snack from the vending machines stationed throughout the school. Learn Spanish in Barcelona with don Quijote and enjoy the luxury of a building beautifully-furnished with marble floors throughout the common areas and wooden floors in the classrooms. Finding the opportunity to practice your Spanish in real life situations is not always easy, which is why Spanish conversation classes are key to becoming a confident speaker. Many students already have a solid understanding of Spanish grammar but are lacking in communication and comprehension skills. The Spanish Conversation course is designed for students who are already familiar with Spanish grammar and theory and are purely interested in gaining experience through constant communicative practice. This interactive class combines a wide range of communication exercises to improve speaking, listening and writing skills through activities and tasks including conversations, songs, games, debates and much more. Additionally, because our conversational Spanish course only lasts a couple of hours a day, students will have more time to practice Spanish in real life situations outside of the class. This flexible course is great for any student or local resident who wants to get one step closer to their ultimate goal of communicating with confidence in Spanish. The Intensive Spanish course is undoubtedly the most popular class because it is designed to help students learn Spanish as quickly as possible through constant interaction. The classes are given entirely in Spanish in all levels, from beginning to advanced, so that students are divided according to their skill levels. Additionally, all Intensive courses in don Quijote schools in Spain include a complimentary cultural class every day that covers a topic of cultural interest. That means that students can choose to take an additional +5 Spanish classes a week absolutely free with don Quijote. Taking flamenco classes in Spain is an ideal way to compliment your Spanish course. Flamenco is an internationally recognized art form that was declared an Intangible Cultural Heritage of Humanity by UNESCO in 2010. Originating in Andalusia, flamenco origins can be traced back to the fusion of various musical styles by the gypsies who have propelled the preservation and dissemination of flamenco around the world. The flamenco course in Spain will introduce students to the song, dance and music that make up this artistic expression. Discover the passion and wide range of emotions that are expressed by the performer through complex techniques of foot stomping and hand clapping. The flamenco course is taught at an academy by professional flamenco dance teachers who will adapt to your dance level whether you have studied flamenco in the past or not. The content is flexible and can be adapted to students’ schedules and language level. Students who sign up for flamenco dance classes are required to use appropriate attire. Flamenco shoes are essential for all participants and ladies must also dress in a proper skirt and leotards. These items can be purchased in the flamenco school. Learning a language is not only about learning grammar, communication and vocabulary. In order to truly understand a language you must understand the nuances of the culture and its people. The more you immerse yourself in your host country, the more you will get an in depth understanding of the language that surrounds you. What better way to discover the local culture than through its cuisine? Comfortable accommodation is an essential part of your study trip. That is why we attach so much importance to the quality of the accommodation offered by our partner educators. Family stays offer you a unique opportunity to experience Spanish life while living in the home of a local speaking family. You’ll speak Spanish all day long, out of necessity and fun and interest in the family life you see unfolding around you. Accommodation in a host family allows you to get the most out of your language course as it gives you a privileged view of daily life in another culture. Your host “family” may be a family with parents and children or a single parent who takes in students because he or she enjoys the company. You wouldn’t be the first to go out on the town together, or to keep in contact with your family after your return home. You can choose from a room with breakfast, half-board (breakfast and either a cooked meal in the afternoon at about two o’clock or light dinner at ten) or full-board (breakfast and two meals). You’ll eat at local hours – usually later than what you may be accustomed to- and you’ll eat local foods, although the family will take your preferences into account as much as possible. You will be given your own house keys, so you can come and go as you please. You will also be able to receive phone calls at the family home. If you are looking for an inviting and well-equipped stay just a quick walk from your classroom, don Quijote student residences may be the ideal accommodation for you. The school’s student residences have a youthful, international feel and offer you all you’ll need in one building: laundry facilities, TV, prepared meals or shared do-it-yourself kitchens, and areas for studying and socializing. The student residences offer individual, shared and triple rooms, shared TV, shared living/dining rooms and washing machines. Bed linens are provided; we suggest that you bring your own towels, for maximum comfort. The don Quijote residence in Barcelona is located in the Izquierda del Ensanche (L’Eixample) area, right in the center of the city and very close to don Quijote’s school. The building has been recently restored and it offers new and comfortable living facilities to all its residents. Individual and shared rooms are available, about half of which have a private bathroom. Different dining options are available: accommodation only, half or full board (the dining hall is located on the lower floor). The kitchen-dining hall remains open from 8:00 am until 11:00 pm. Residents may also use the kitchen to prepare meals. You can choose to share a student apartment with four or five don Quijote students. In a student apartment you’ll prepare your own meals and interact with don Quijote students of all ages and backgrounds. We recommend you make a pact about speaking Spanish in the apartment; other shared languages often take students away from Spanish language practice. Each student apartment has a living room with TV, a fully equipped kitchen, a washing machine and an iron. No telephones are available in student flats; we suggest you use public telephones or local calling centers. You share the kitchen and the bathroom and, together, keep the house clean. The hotel in Barcelona is located in the center of Barcelona. Students who choose to stay in our recommended hotel in Barcelona will take advantage of all the facilities and comfort that the newly remodeled and furnished building offers. The location is unbeatable, near the school and all the important tourist attractions of Barcelona including Las Ramblas avenue and Gaudi’s Sagrada Familia. If you are looking for great accommodation in Barcelona while studying Spanish, this hotel is the perfect choice! From stunning Gaudi architecture, to beautiful, lively, sunny beaches – experience Barcelona with our language travel! Spanish will enrich your life long after your first Barcelona experience, so we hope your course will only be the beginning of a lifelong relationship with the Verbalists Language Network. Between courses, we invite you to stay in touch with us by following our website. 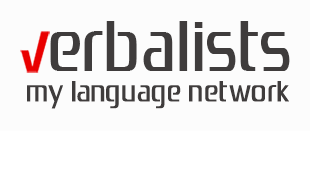 Verbalists, the leading language network in Europe, is about connecting people to the power of languages and joy of journeys that inspire, surprise and entertain. Verbalists is a brand of Prodirekt, a US based education group, which is a certified, and often exclusive representative of prestigious schools and colleges in world renowned university centers.